Property Location With a stay at Best Western Ambassador Hotel in Timisoara, you'll be convenient to Piata Balcescu and Piata Uniri. This 4-star hotel is within close proximity of Romanian Orthodox Cathedral and Politehnica University.Rooms Make yourself at home in one of the 41 air-conditioned rooms featuring minibars. Complimentary wireless Internet access is available to keep you connected. Conveniences include phones, as well as safes and desks.Rec, Spa, Premium Amenities Be sure to enjoy recreational amenities including a sauna and a fitness center. Additional features at this Victorian hotel include complimentary wireless Internet access, concierge services, and wedding services.Dining Satisfy your appetite at the hotel's restaurant, which serves breakfast, dinner, and brunch. 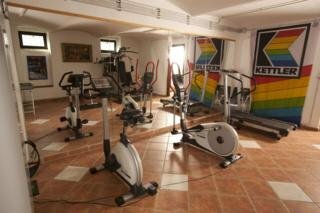 Dining is also available at a coffee shop/café, and 24-hour room service is provided. Quench your thirst with your favorite drink at a bar/lounge.Business, Other Amenities Featured amenities include a 24-hour business center, a computer station, and express check-in. 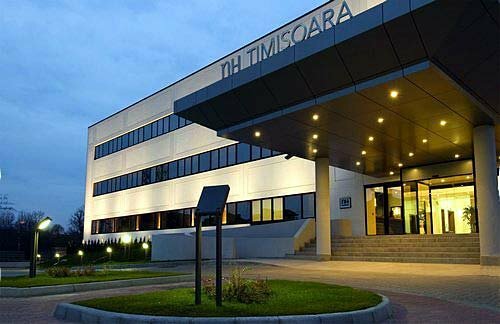 Planning an event in Timisoara? This hotel has 1291 square feet (120 square meters) of space consisting of a conference center and conference space. Free self parking is available onsite. 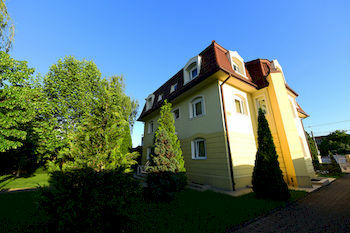 Property Location With a stay at NH Timisoara in Timisoara, you'll be convenient to Millennium Church and Piata Uniri. This 4-star hotel is within close proximity of Piata Traian and St. George's Cathedral.Rooms Make yourself at home in one of the 83 air-conditioned rooms featuring minibars and flat-screen televisions. Your room comes with a pillowtop bed. 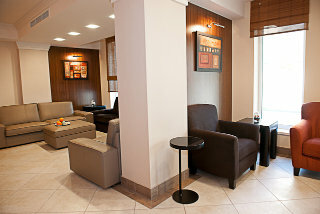 Complimentary wired and wireless Internet access keeps you connected, and satellite programming provides entertainment. Private bathrooms with shower/tub combinations feature deep soaking bathtubs and complimentary toiletries.Rec, Spa, Premium Amenities Take advantage of recreational opportunities offered, including a health club, a spa tub, and a sauna. Additional amenities include complimentary wireless Internet access, a hair salon, and a television in the lobby. Guests can catch a ride to nearby destinations on the area shuttle (surcharge).Dining Enjoy a meal at a restaurant, or stay in and take advantage of the hotel's room service (during limited hours). Quench your thirst with your favorite drink at a bar/lounge.Business, Other Amenities Featured amenities include complimentary high-speed (wired) Internet access, a business center, and a computer station. Event facilities at this hotel consist of a conference center, conference space, and meeting rooms. Guests may use a roundtrip airport shuttle for a surcharge, and free self parking is available onsite. Property Location With a stay at Delpack Hotel Timisoara in Timisoara, you'll be convenient to Piata Balcescu and Piata Uniri. This 4-star hotel is within close proximity of Politehnica University and Romanian Orthodox Cathedral.Rooms Make yourself at home in one of the 40 air-conditioned rooms featuring refrigerators and minibars. Complimentary wireless Internet access keeps you connected, and satellite programming is available for your entertainment. Conveniences include phones, as well as safes and desks.Rec, Spa, Premium Amenities Take advantage of recreational opportunities offered, including a spa tub, a sauna, and a fitness center. Additional features include complimentary wireless Internet access and tour/ticket assistance.Dining Enjoy a meal at a restaurant, or stay in and take advantage of the hotel's 24-hour room service. Quench your thirst with your favorite drink at a bar/lounge.Business, Other Amenities Featured amenities include a business center, dry cleaning/laundry services, and a 24-hour front desk. 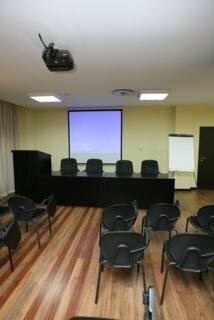 Event facilities at this hotel consist of conference space and meeting rooms. Free self parking is available onsite. Property Location A stay at Hotel Savoy places you in the heart of Timisoara, minutes from Romanian Orthodox Cathedral and close to Piata Uniri. 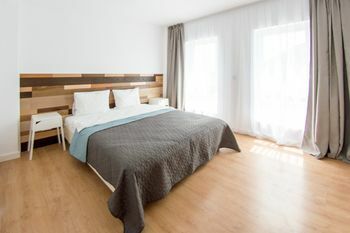 This 4-star hotel is within close proximity of Politehnica University and Opera Square.Rooms Make yourself at home in one of the 54 air-conditioned rooms featuring minibars and LCD televisions. Complimentary wireless Internet access keeps you connected, and cable programming is available for your entertainment. Private bathrooms with bathtubs or showers feature complimentary toiletries and hair dryers. Conveniences include phones, as well as safes and desks.Rec, Spa, Premium Amenities Be sure to enjoy recreational amenities including a sauna and a fitness center. Additional amenities include complimentary wireless Internet access and concierge services.Dining Enjoy a satisfying meal at a restaurant serving guests of Hotel Savoy. Quench your thirst with your favorite drink at a bar/lounge.Business, Other Amenities Featured amenities include a computer station, complimentary newspapers in the lobby, and dry cleaning/laundry services. A roundtrip airport shuttle is complimentary during limited hours. Property Location With a stay at Victoria Hotel Timisoara, you'll be centrally located in Timisoara, steps from Huniade Castle and Timisoara Opera House. 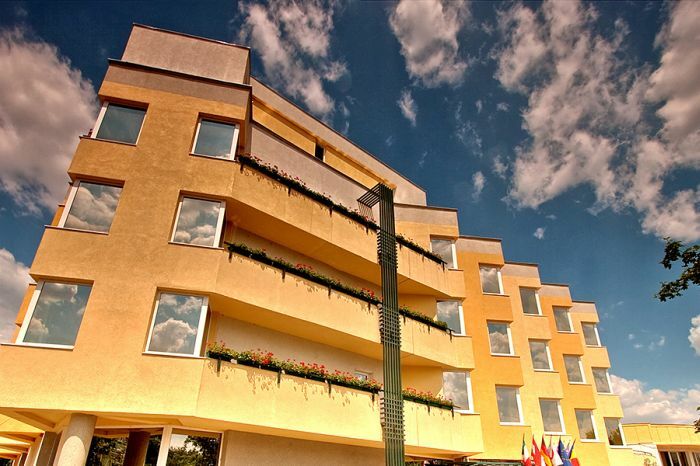 This hotel is within close proximity of Piata Operei and Opera Square.Rooms Make yourself at home in one of the 15 air-conditioned rooms featuring minibars and LCD televisions. Complimentary wireless Internet access keeps you connected, and cable programming is available for your entertainment. Bathrooms have bathtubs and hair dryers. Conveniences include phones, as well as safes and desks.Rec, Spa, Premium Amenities Make use of convenient amenities, which include complimentary wireless Internet access and tour/ticket assistance. Guests can catch a ride to nearby destinations on the area shuttle (surcharge).Dining Enjoy a meal at a restaurant, or stay in and take advantage of the hotel's room service (during limited hours).Business, Other Amenities Featured amenities include dry cleaning/laundry services, a 24-hour front desk, and multilingual staff. A roundtrip airport shuttle is complimentary (available on request).